Fill in your details to get your item specially tailor-made for you. Please note a USD $ 19.99 fee applies. This is a Made-To-Measure item, which is produced one by one. All sizes and color choices, including all custom measurements, require additional tailoring time. ID: 253Provided by Supplier.Please Note: Listed size charts may vary according to different Size Chart IDs. 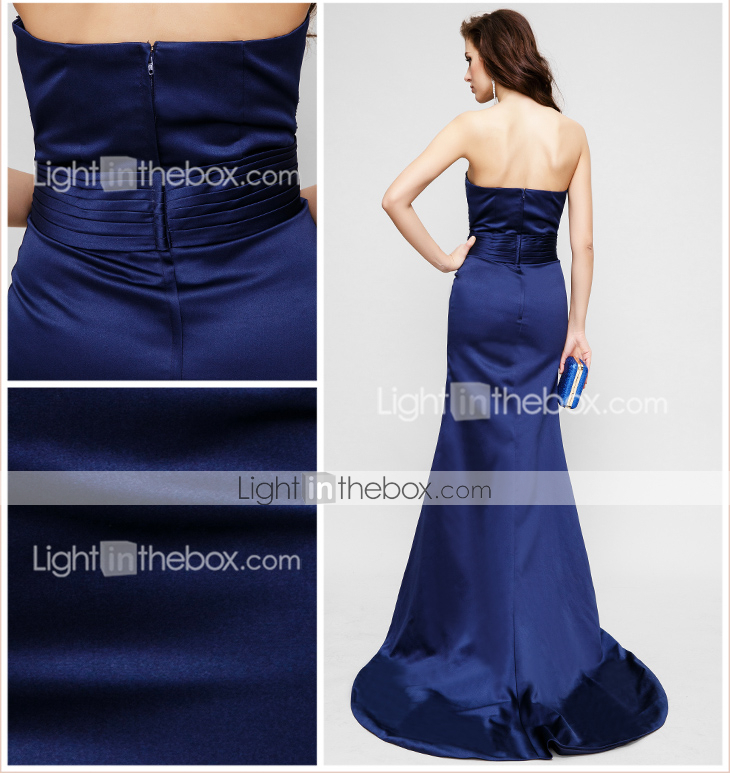 A: Even standard size dresses are made to order for each customer. The custom nature of our dresses means our cancellation and return policy is stricter than other items, so it's important to order carefully. Q: What is the best way to choose my size? Q: Can I change the design of a dress? A: Due to agreements with the dress designers, we make the dresses strictly according to the pictures shown on our website. Each dress is carefully tailored to match exactly what you see in the photo, and unfortunately we are unable to modify the style, length or fabric in any way. Q: Will my dress exactly match the color I see on your website? Eg: Will the white color and ivory color look the same? If not, what's the difference? A: Different fabrics, camera resolution and computer monitors can mean the color may vary slightly between the photos and the actual fabric. Colors are subject to the actual dresses you get. We suggest you order a fabric swatch to view colors in person. In terms of the two colors, white is a bright, pristine color with no mixes or shades of any other color like pure milk. On the other hand, ivory has a slight tint of yellow or cream. The ivory color is very close to pure white but due to differences in lighting and the added hints of other shades it differs. 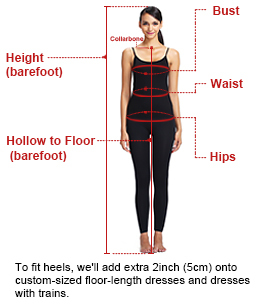 Get measured before placing an order: We strongly suggest you have your measurements taken first by a professional tailor or measure yourself by following the mea sure guide below. Video Measuring Guide: Click here! A lining bag and a protective cardboard box accompany all LAN TING BRIDE® and TS Couture® dresses. A garment bag and a protective cardboard box accompany all other partner brands dresses. 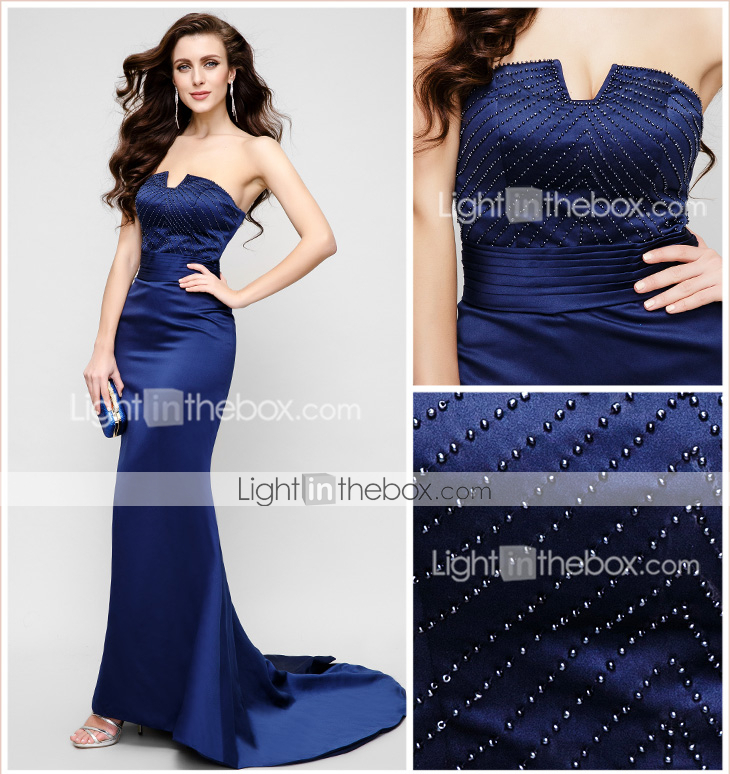 Our dresses would not be complete without being fully lined and structured to flatter your figure. In addition, a comfortable and soft full net lining is added underneath our beautiful fabrics.